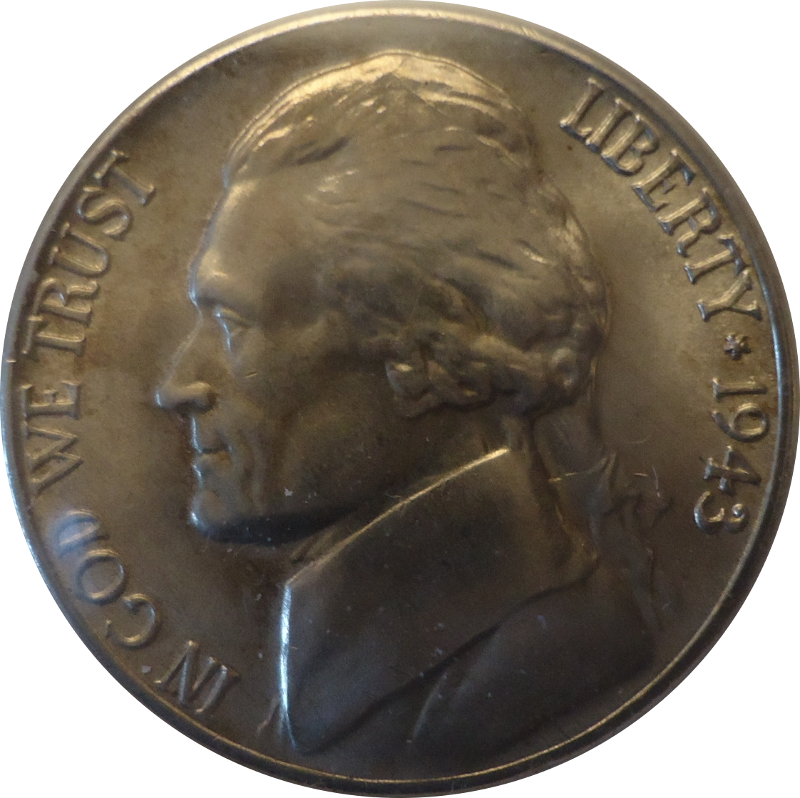 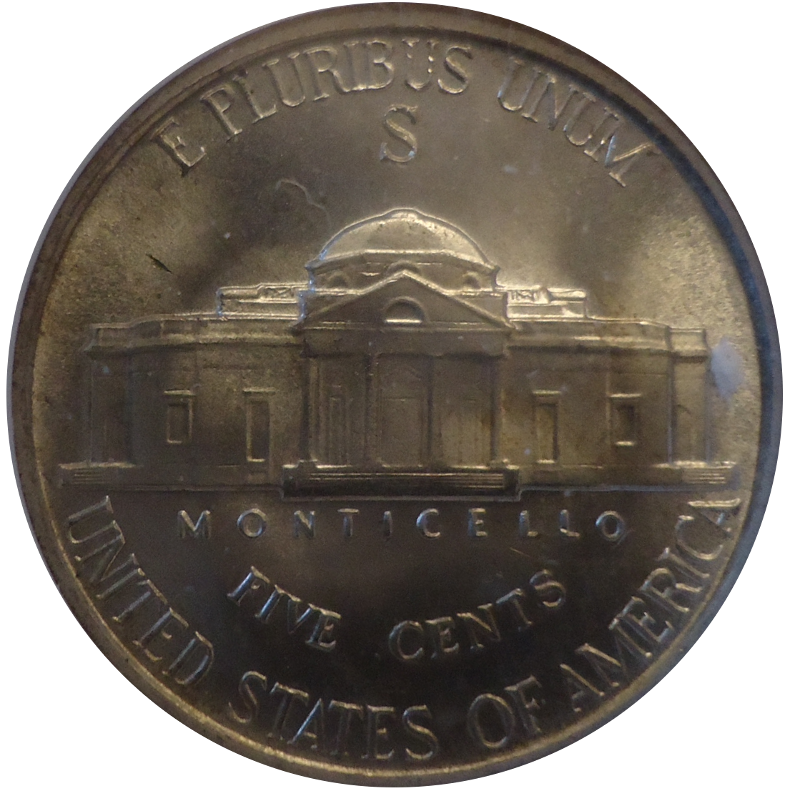 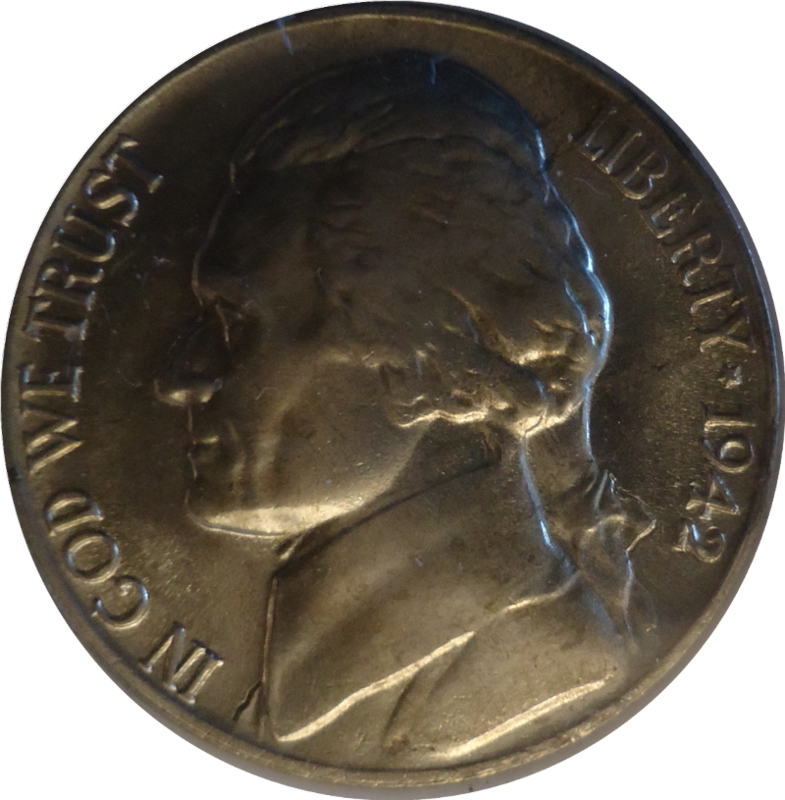 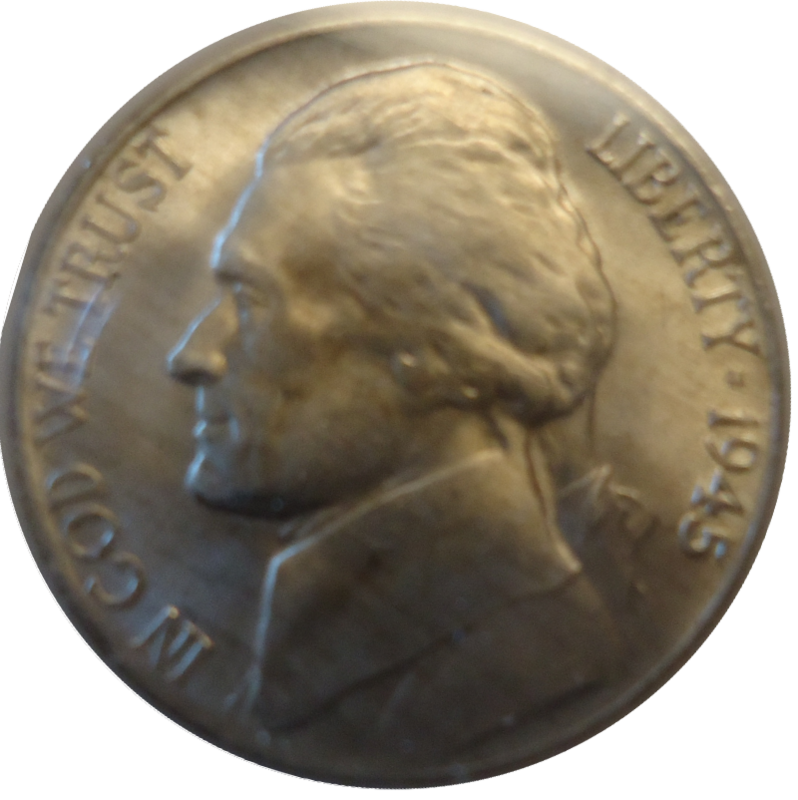 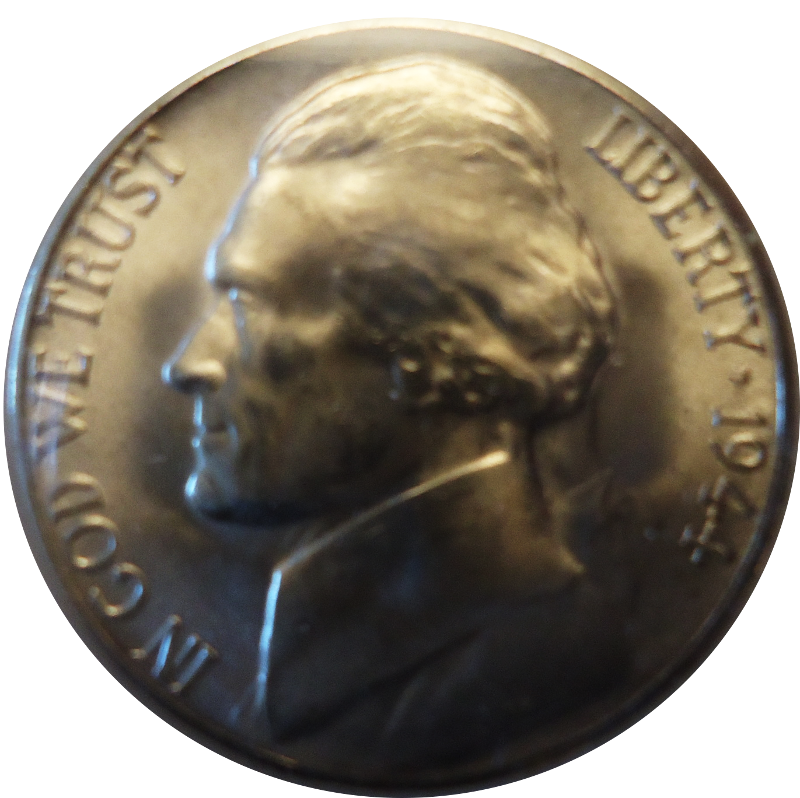 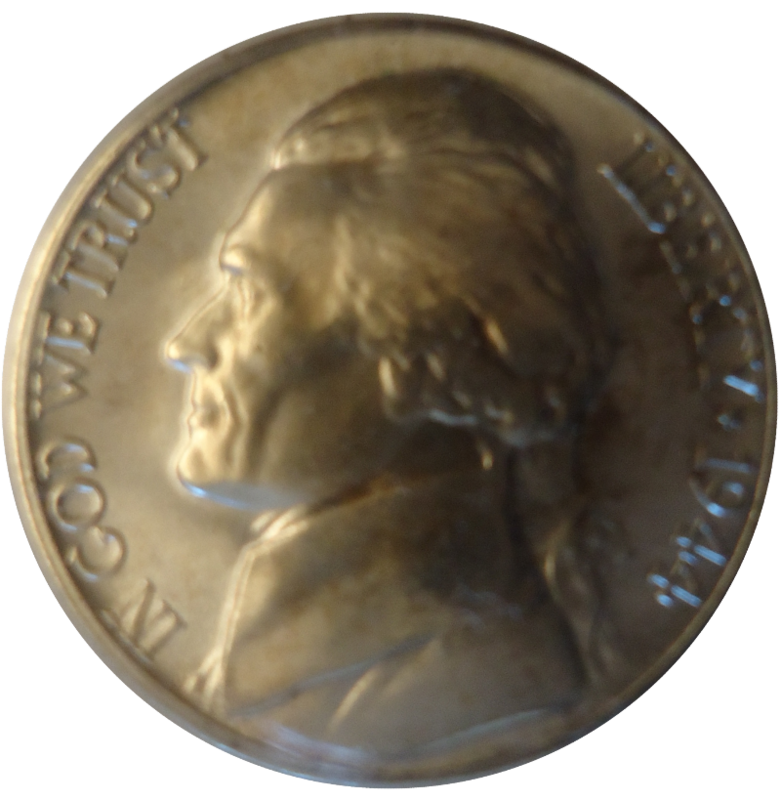 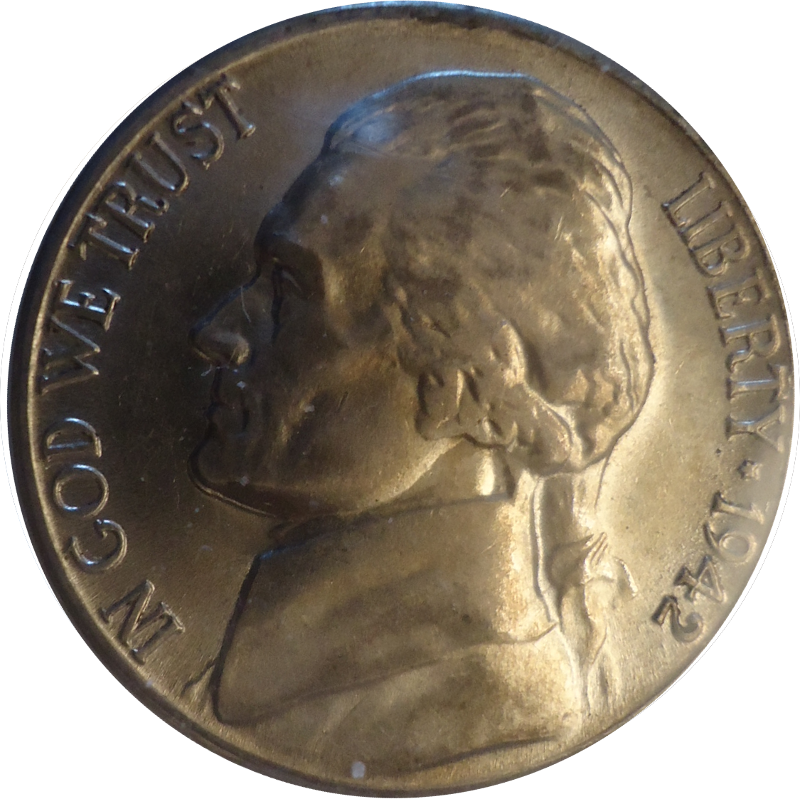 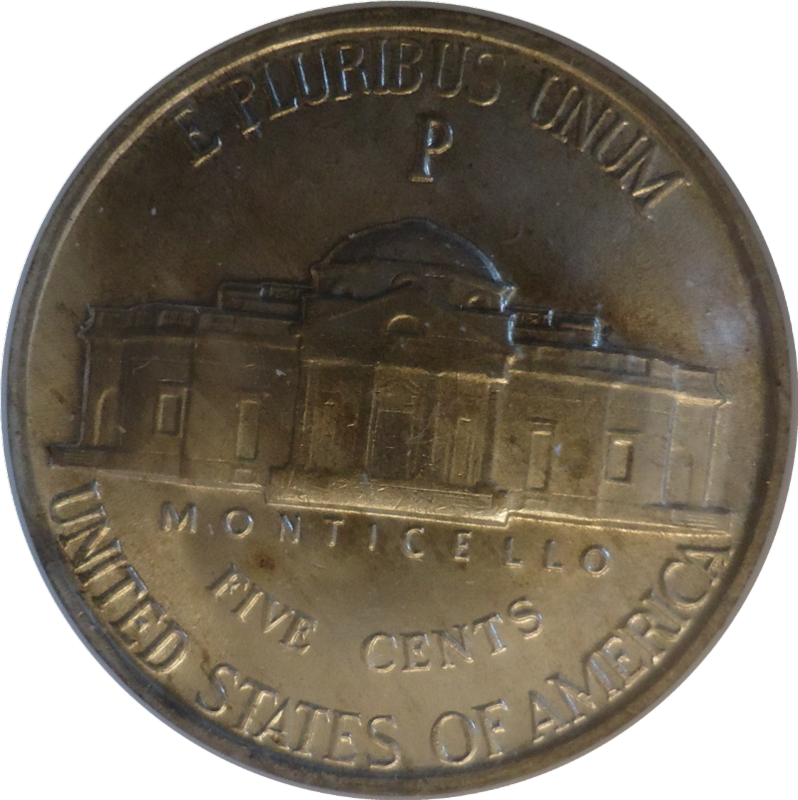 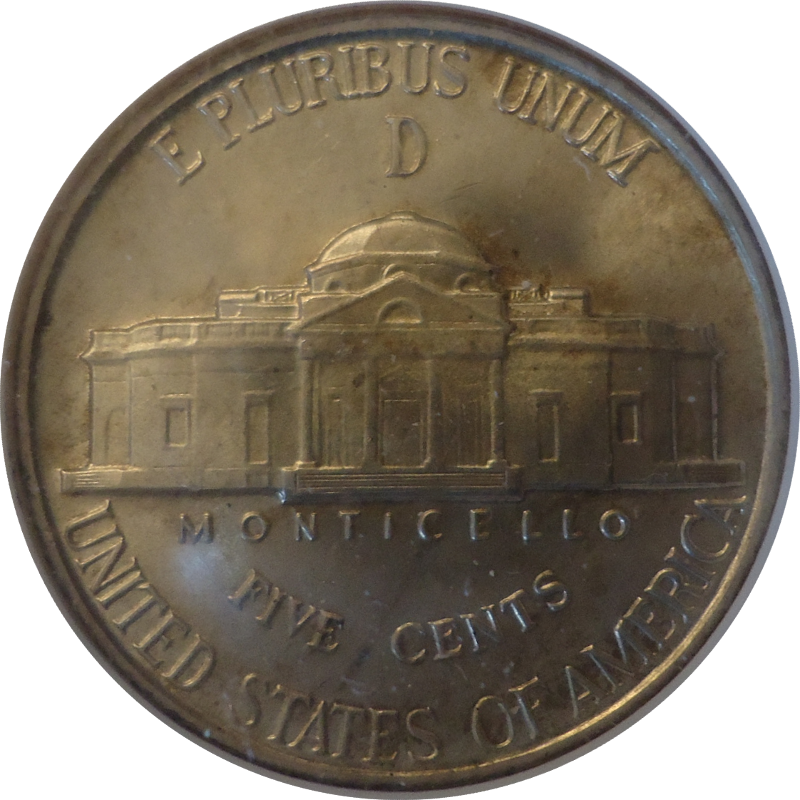 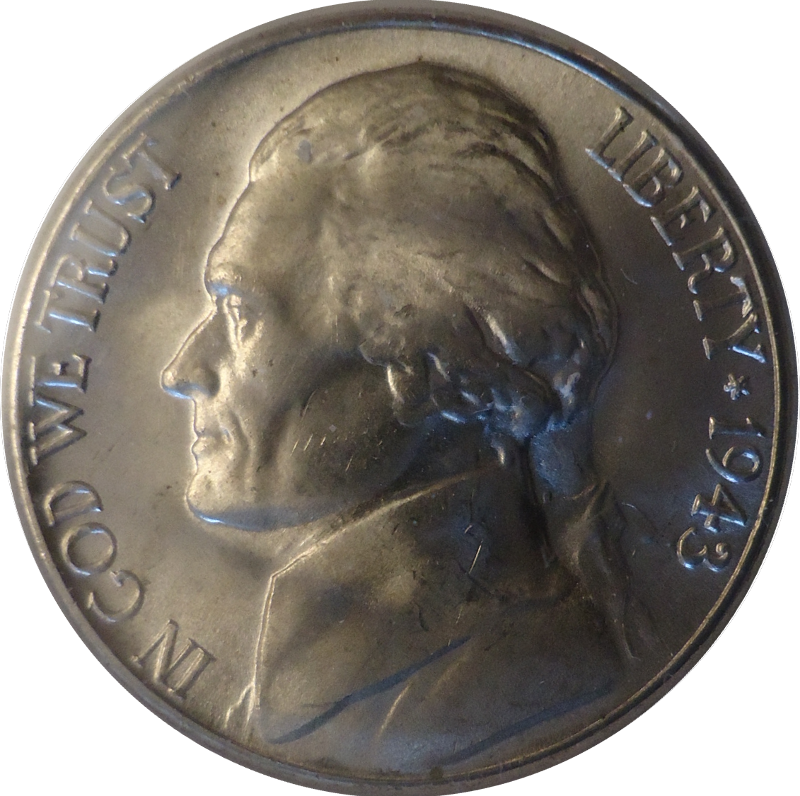 The Jefferson Nickel, of course, was produced with the durable and hard metal alloy which was in large part nickel (25% Nickel and 75% Copper). 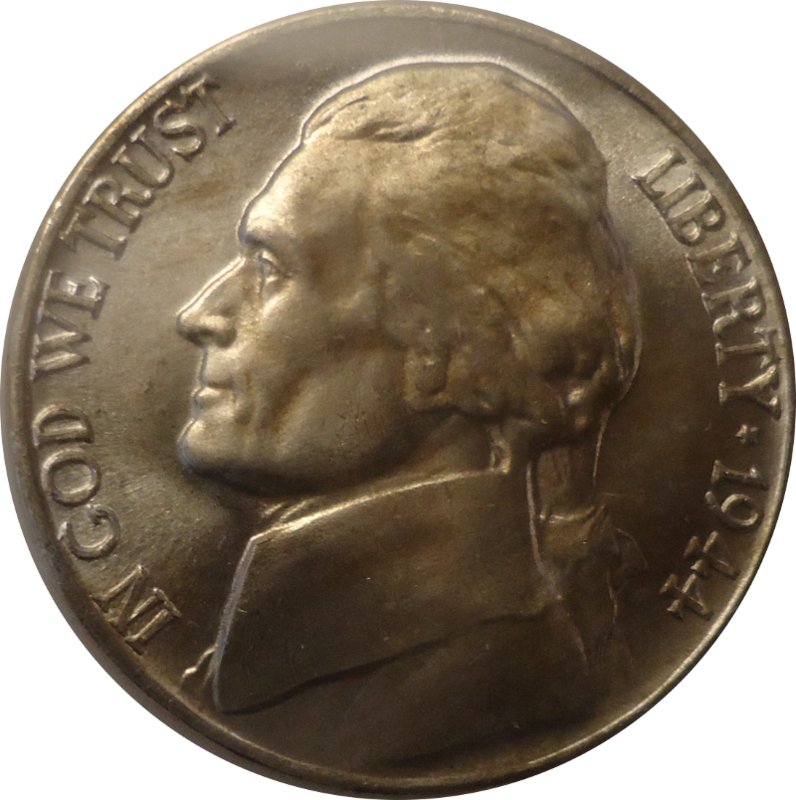 With the advent of World War Two, this metal, for those attributes, became a critical material for armaments production, along with copper. 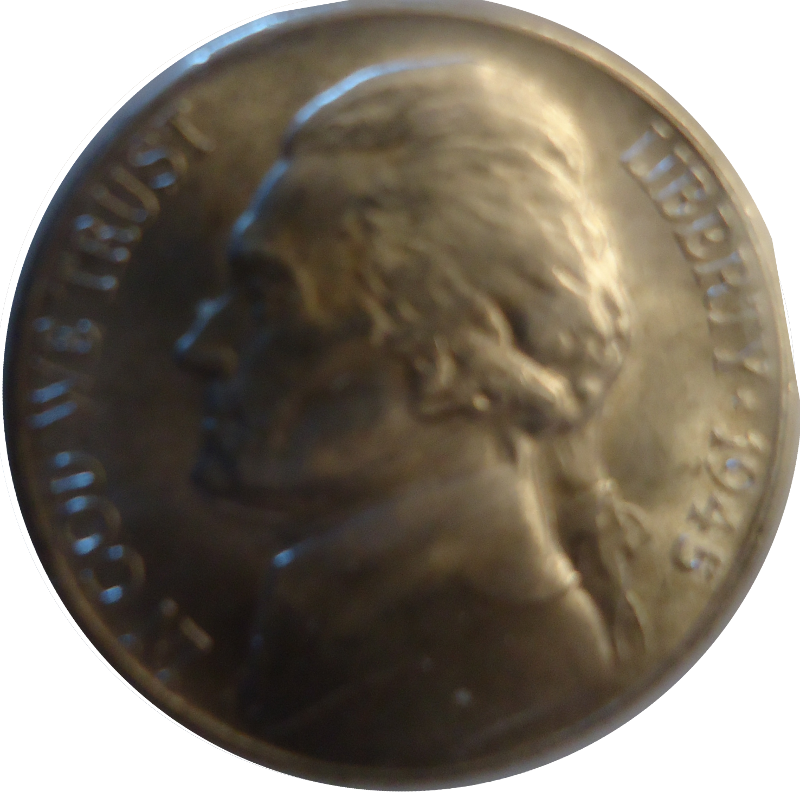 During these years, those metals were actually more valuable than silver. 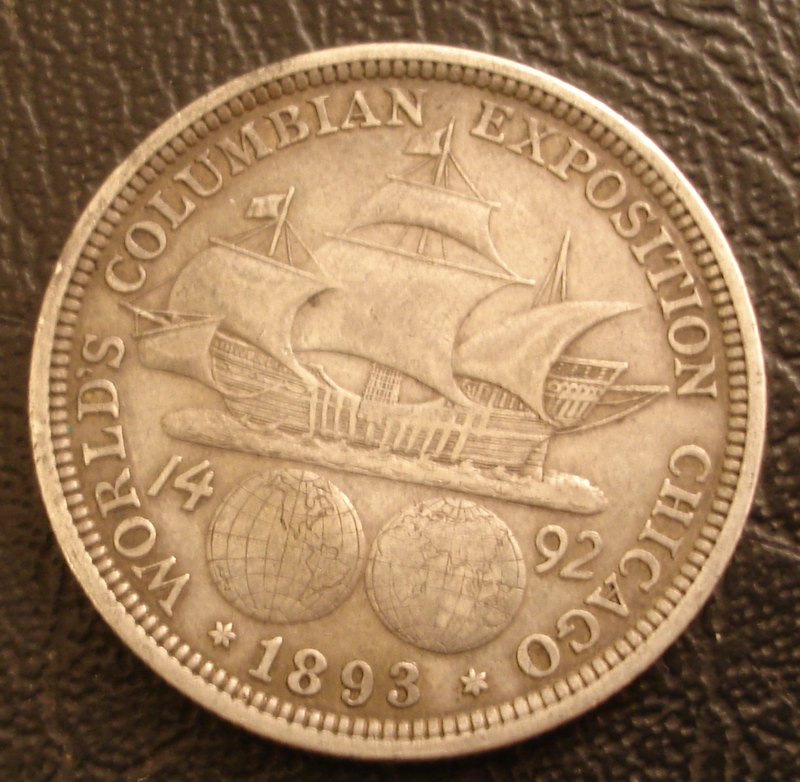 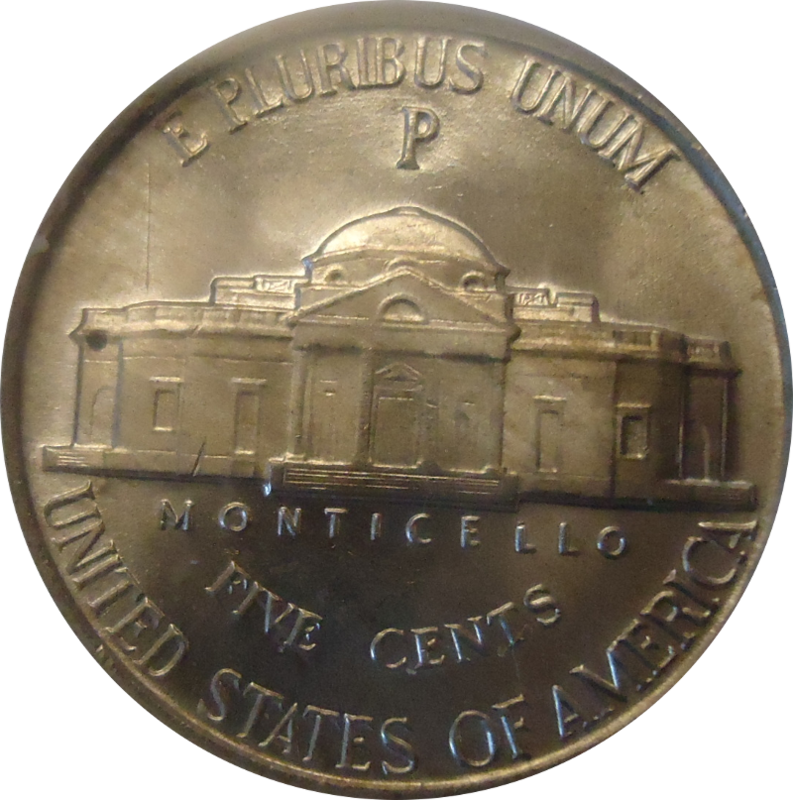 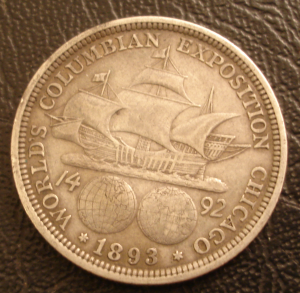 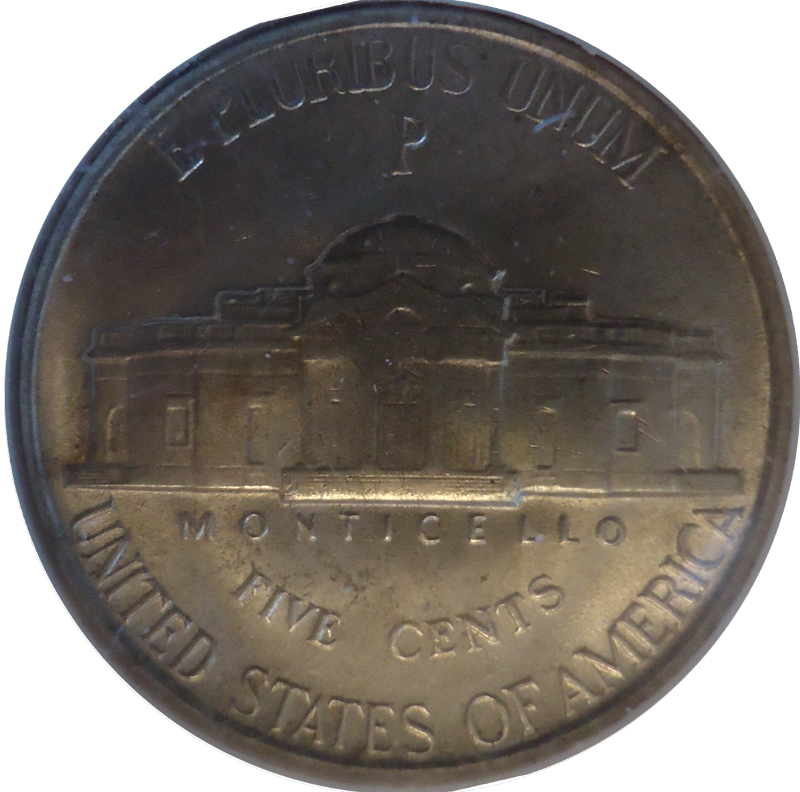 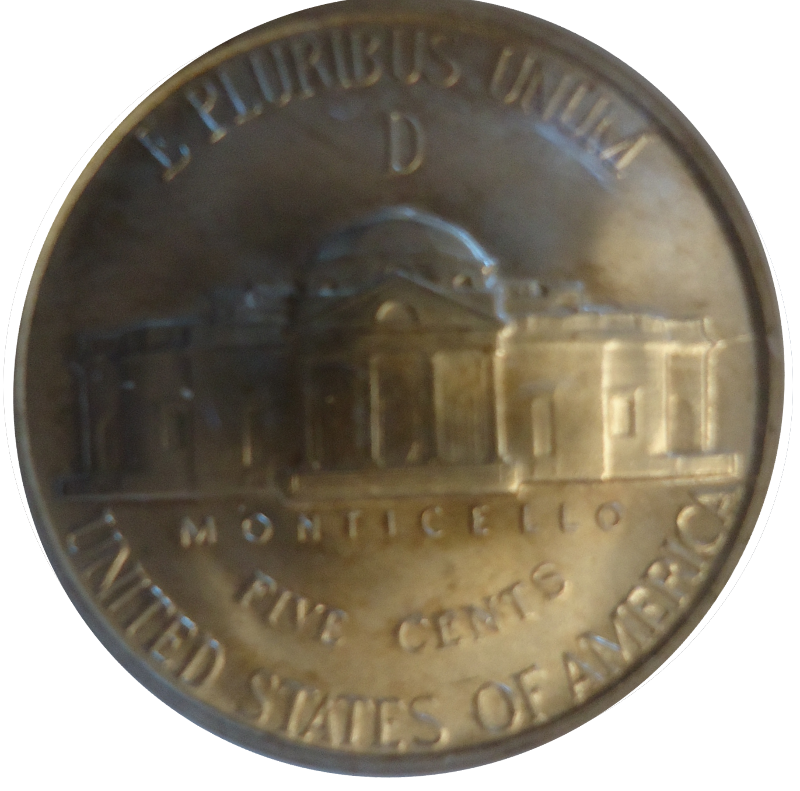 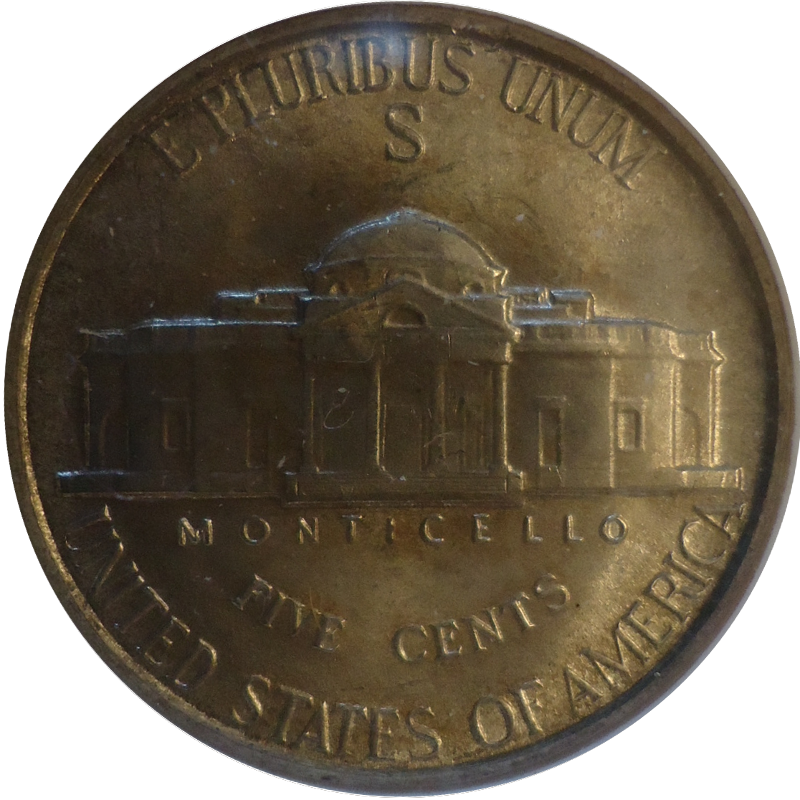 The mint was authorized to reduce the depenecey of coinage on copper and nickel, which resulted in the design of the silver wartime nickel and the steal cents. 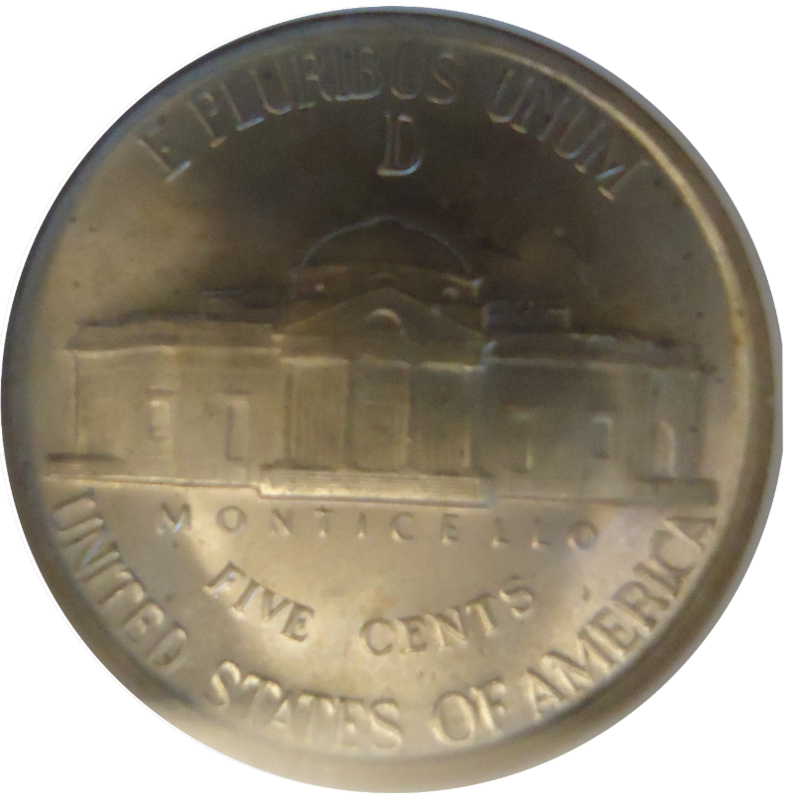 Starting midway of 1942 the mint started to produce silver war nickels, making 1942 a split year for nickel productions. 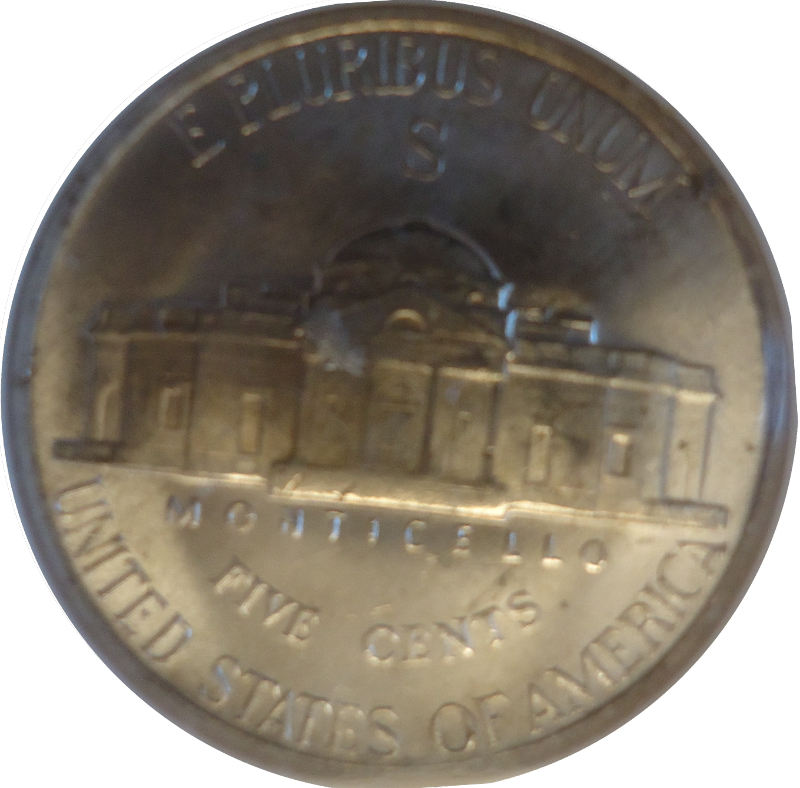 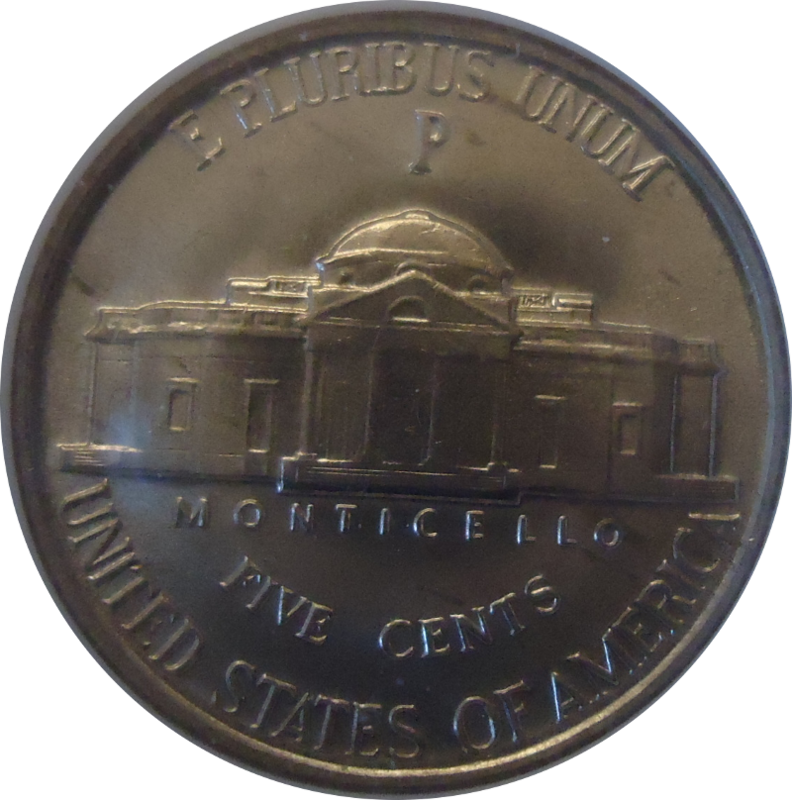 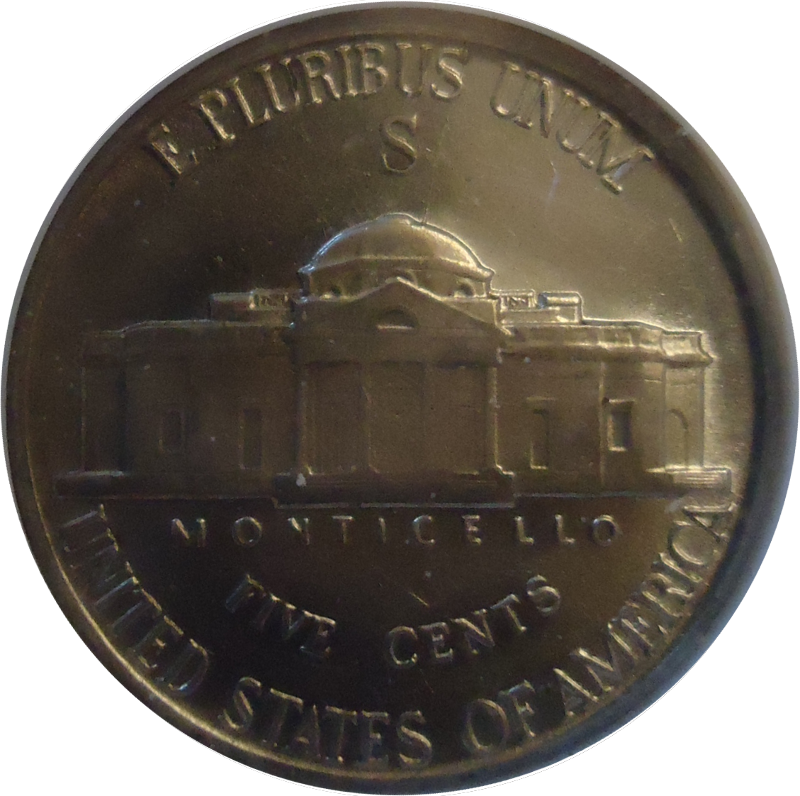 Appoximated 64 thousand nickels were produced in the tradition fashion from the Philedephia and Denver Mints, and 90 thousand nickels with 56% copper, 35% silver and 9% manganese and marked with large mint marks on the reverse above Monticello. 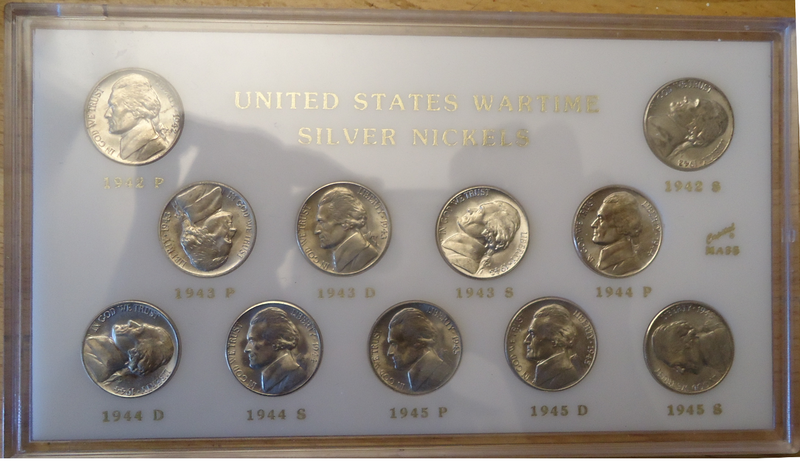 There is no 1942 D war nickels. 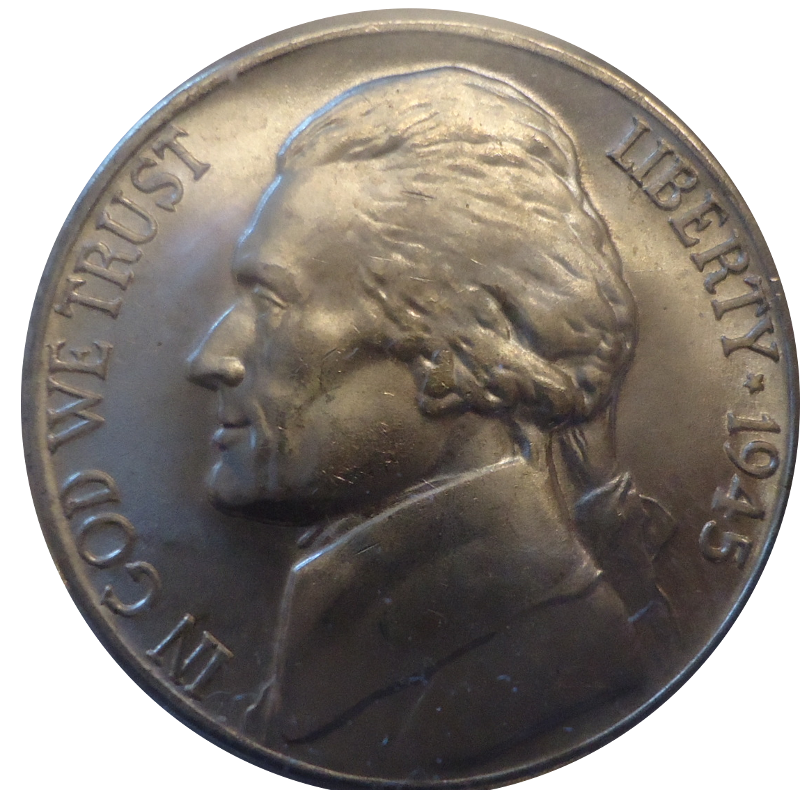 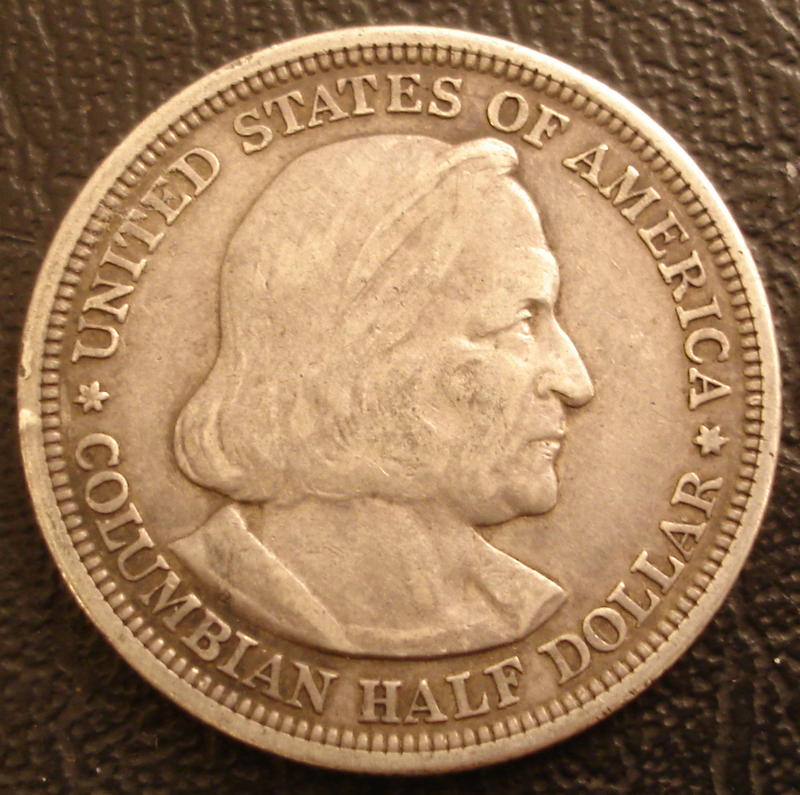 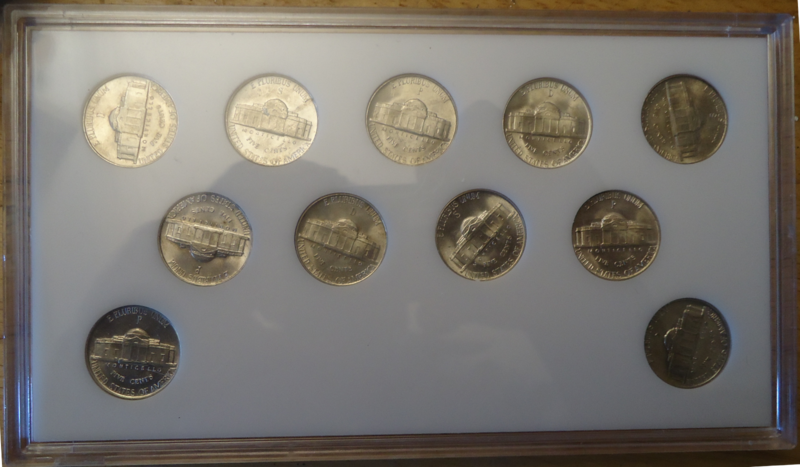 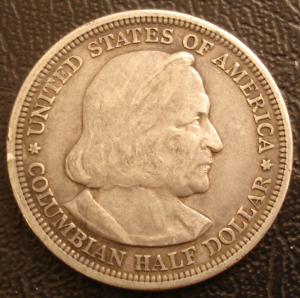 Production of these silver nickels continued until the end of 1945. 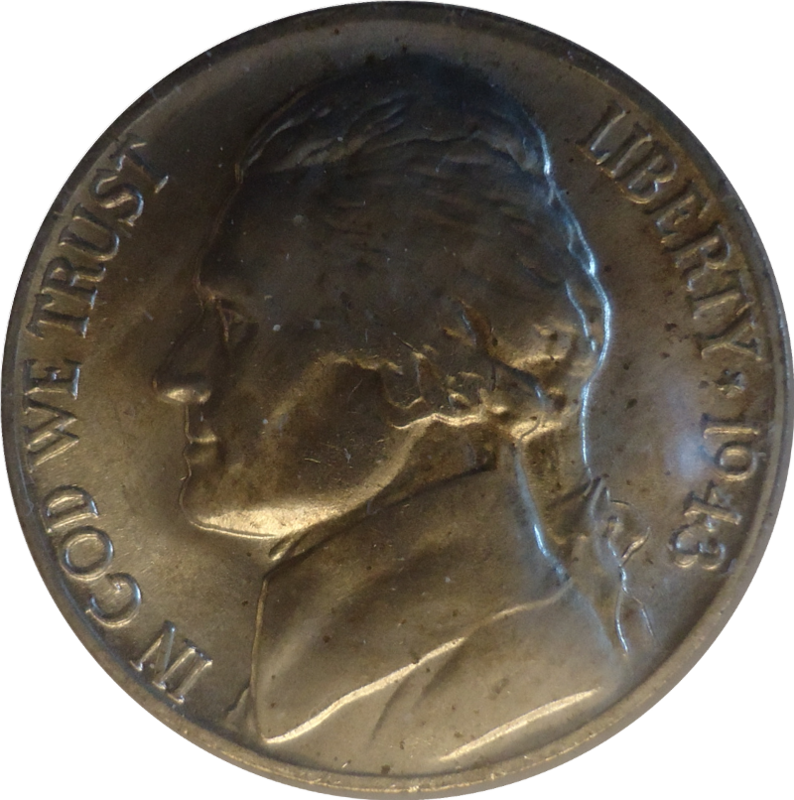 The composit itself was designed to work with existing vending machines and anti-fraud devices of the time.